AstraZeneca (AZ) has agreed a deal worth more than one billion dollars to acquire Ardea Biosciences, a San Diago-based biotech that focuses on treatments for gout. Ardea's lead product is lesinurad, a phase III treatment for chronic gout that is due to be filed for European and US approval in the first half of 2014 and which AZ said it now also plans to develop and commercialise in China and Japan when the acquisition is finalised. To this end the pharma company said it has the backing of both companies boards and support form shareholders who control around 30 per cent of Ardea's stock and that the deal is expected to close in the second or third quarter of 2012. Once it goes through AZ will also gain access to RDEA3170, a next-generation selective URAT1 inhibitor that Ardea has taken through to phase I development. 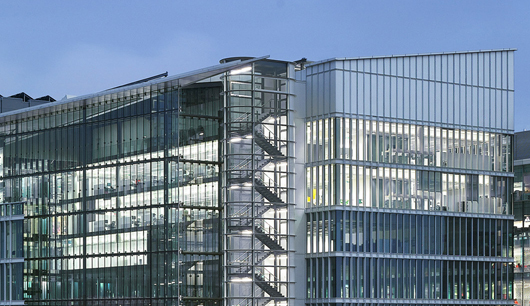 David Brennan, AstraZeneca's CEO, said: “This attractive phase III programme is an excellent opportunity to leverage AstraZeneca's global specialty and primary care sales and marketing capabilities. There is also real potential for pharma in the gout market, which was worth $542.6m in 2010 but is expected to see annual growth of more than 16 per cent to 2017, when analysts GBI Research say it will be worth $1.56bn. This opportunity was spotted recently by Takeda, which agreed an $800m deal for US gout specialist URL Pharma just two weeks ago, and will shortly gain control of URL's top-selling gout drug Colcrys (colchicine). Takeda's deal is topped by AZ's acquisition of Ardea, which will cost the anglo-Swedish pharma company approximately $1.26bn. Barry Quart, president and CEO of Ardea, said: “From our earliest interactions, we were impressed with the quality of AstraZeneca's people and we are confident their commercial strength and global reach will help realise the full potential of our programmes. A painful, debilitating and progressive disease caused by abnormally elevated levels of uric acid in the blood stream, gout leads to the deposition of painful, needle-like uric acid crystals in and around the connective tissue of the joints and in the kidneys. Lesinurad is a selective inhibitor of URAT1, a transporter in the proximal tubule cells of the kidney that regulates uric acid excretion from the body, and is being developed as an oral, once-daily treatment for the chronic management of hyperuricaemia in patients with gout. The drug is being studied as an add-on treatment to allopurinol in patients who don't reach their target serum uric acid levels on the generic gout drug alone. Adrea is also running trials of lesinurad as monotherapy for those patients who are intolerant to allopurinol or Ipsen's Adenuric (febuxostat), and as an add-on treatment to Adenuric in patients with tophaceous gout. The US biotech also has a cancer drug in phase I trials. BAY 86-9766 is a specific inhibitor of mitogen-activated ERK kinase (MEK) that is being developed under a global license agreement with Bayer HealthCare.